Benedicto's (Carlos Bardem) stunt dagger from Justin Kurzel's video game adaptation Assassin's Creed. 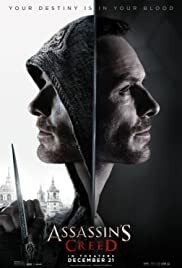 Benedicto, the Mentor of the Sevilla Brotherhood, wore his knife on his belt as he served alongside Aguilar (Michael Fassbender) in their battles against the Templar order. This stunt dagger is made of rubber with a metal armature within for strength and rigidity. 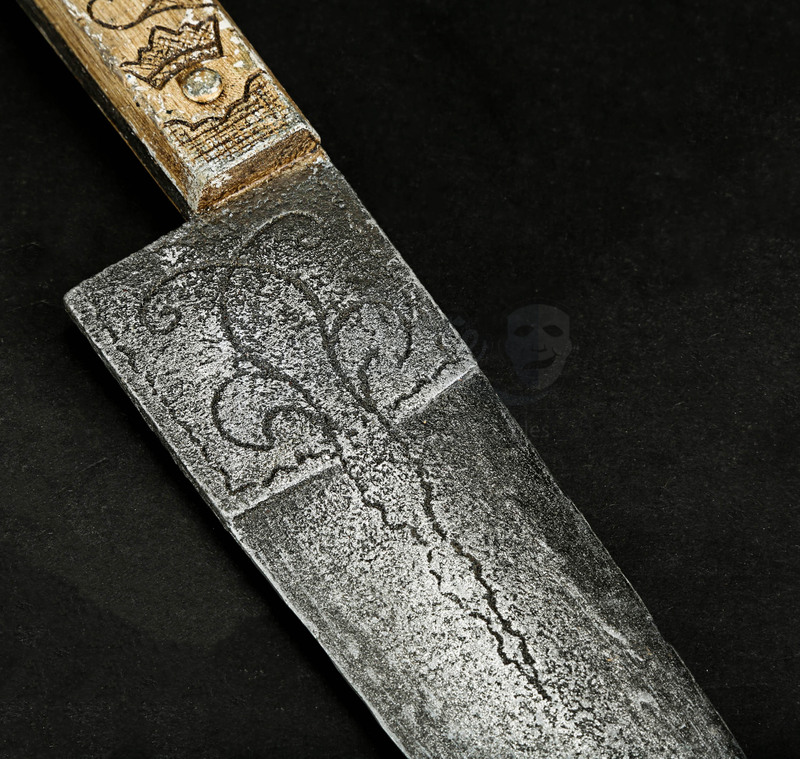 It features an intricately detailed blade and grip, with decorative inlaid detailing running throughout from the hooked grip to the middle of the blade. 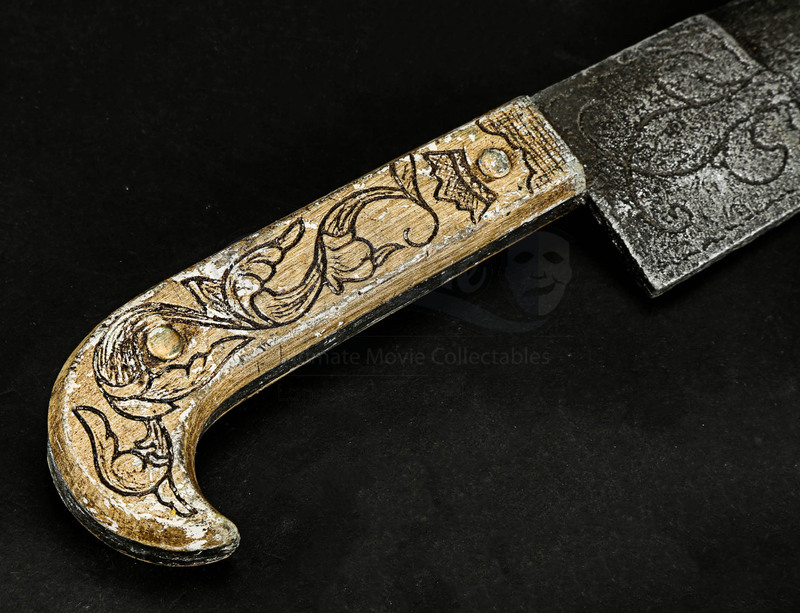 Finished in metallic steel tones with cream paint used to replicate the appearance of ivory grips, the knife is distressed to look hard-worn, with some wear to the grip and blade through use. The piece remains in very good condition.